She has been an outstanding asset to our company over the past years in our Mortgage Loan Education Programs. For Supreme Lending in San Mateo, she is the Production Manager. For DGE, she has been presenting several different MLO seminars for us around Northern California. And presents them well. She knows Mortgage Lending Law inside and out. She has held every office position with the California Association of Mortgage Professionals, including President. I first heard Michelle give a presentation, a Government Affairs lecture in Newport Beach, and contacted her right after the talk hoping that she would present for Duane Gomer Education. She said “Yes”. Michelle is heavily involved in The National Association Of Mortgage Professionals, currently as Vice President. She was, previously, the Government Affairs Head which is where the Associations put the smart ones who know how to produce. She really knows the material and students quickly realize the depth of her knowledge. Duane Gomer Education is fortunate to have Michelle as one of our MLO instructors. One of the aspects that is appreciated in our boutique company is the ability to work smoothly with our staff. Books have to be there, rosters have to be there, students have to be checked in, problems will arise, and Michelle is cooperative and professional at all times. 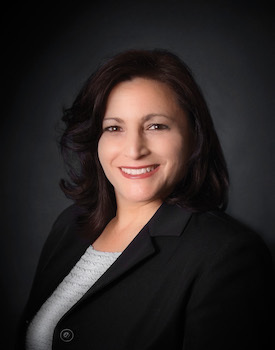 If you ever want to talk with a true MLO in the Bay area with over 25 years in the business, check Michelle Velez: MLO#272427, Phone 925-348-5086 or Michelle.Velez@supremelending.com. Tell her Duane sent you. That Michelle is a class act! Very knowledgeable, articulate and SMART!